Marketing plays an important role to get success in blogging. After publishing a post you can not seat and relax. The next step is to promote that content up to more peoples to let them know you have written a post on a particular topic. You should have invested you 20% time to writing an article and 80% in promoting. You should need to promote your article through various methods to get more exposure. 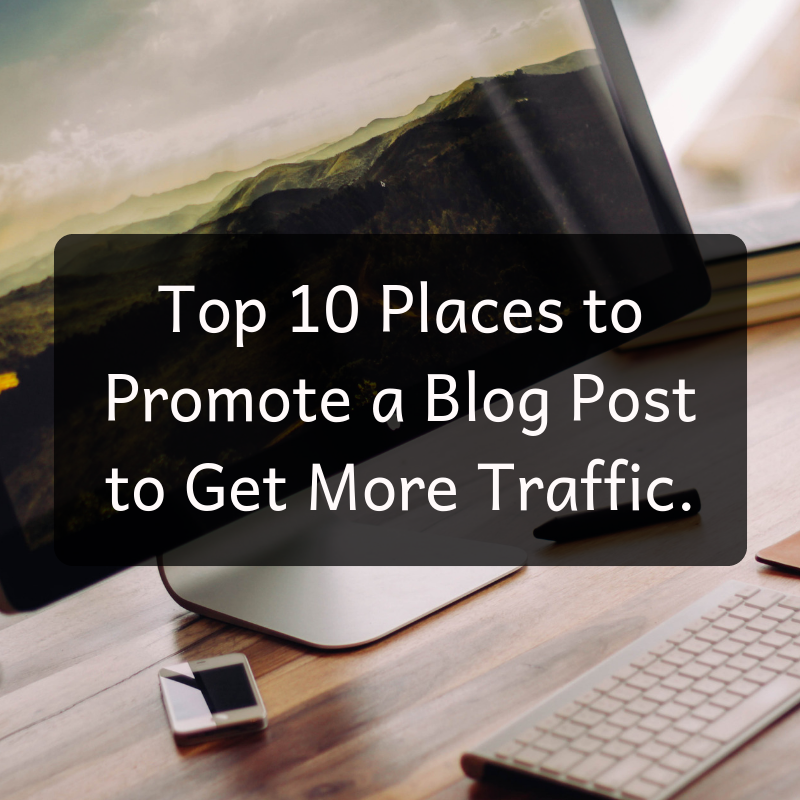 In this article, I am going to share with you the top places where you can promote your blog posts. 10 Best Ways To Promote a Blog Post. As you know currently Facebook is the biggest social media platform. Now days almost every has a Facebook account and spending most of their time on this platform. You can take that advantage of it and promote your blog posts on Facebook groups. First, you need to find out some groups that come under your blog niche for example if you are running a fashion blog then you need to find and join some fashion and lifestyle-related groups. Then you will have to share your post of these groups to get valuable traffic to your blog. Note: Don't be spammy if you will post the same post multiple times in a day then Facebook will block your URL. Twitter is also one of the popular social platforms after facebook. Peoples like to tweet things on it. You can also promote your blog posts on this platform to get more traffic. Most of blogger and marketer have used Twitter for marketing their blog content. You only need to tweet posts and follow the peoples that have the same mindset like you. You need to posts tweet and retweet daily to increase your traffic and followers too. Google plus is an also a social platform which is powered by Google. Where bloggers share blog posts to promote their blog. You will need to join various groups on google plus that related to your blog niche. 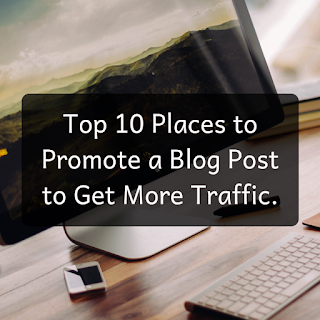 And share your blog post on these platforms to promote them to more audience. In this way, you will able to get traffic to blog in no time. Do you know Pinterest is the biggest image social media platform that allows pinning an image with a link? Pinterest traffic also is known as the most valuable traffic after Google. It's the best thing to promote blog post through pining images over Pinterest. Because you will able to get traffic to your blog for a long time without google. Most bloggers have to focus on Pinterest to drive traffic to their blog. You need to create a Pinterest account if you don't have yet. Then create attractive images for each blog posts and pin them over Pinterest with description and post URL. I have been using Pinterest for a long time and driving lots of traffic each month to my blog. Do you know blog commenting can also help in to get promote a blog post? Whenever you read an article that related to your blog topic do a comment on it with your post URL in website box. Add values in your comment So peoples read and click to your comment and come to your blog. It's one of the best ways to get your blog post to a more targeted audience. You have a chance to convert this referral into your daily readers from valuable content. Quora is one of the favourite content marketing platforms for bloggers. It's a platform where people ask and answer each other questions. Quora is not less than a search engine even lots of peoples used this site to find the answer to their question. The best thing is you can promote your blog post through this site. 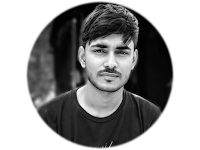 You need to signup a Quora account and answer the question that you think going to be get searched in near future and related to your topic. Write helpful answer with your post URL so peoples click on it and come to your blog. Email lists are very important for the blogs to get instant traffic after publishing the post. After publishing a post you need to create an email for your subscribers to let them know about your new post. It's a good way to promote a newly published article up to more peoples. If you don't have an email list then create one because most sell and lead generate through email subscribers. In your hard time when you don't get traffic from other sources then email list would help you in earn money from your blog. Linkedin is a favourite social media platform for bloggers, marketers and entrepreneurs. Business and marketing niches blog work better in LinkedIn because peoples use LinkedIn for business purpose. First, you need to create an account on LinkedIn and create engagement with peoples. Then, you will able to share your blog posts on profile and groups to get more exposure. If you blog about business and marketing then LinkedIn can be a game changer for you. Stumbleupon is social bookmarking site now knows as a mix. This site allows bloggers to link their blog post on their site. You can add your blog post on the mix to get continuously free traffic to your blog. It's very easy to promote your blog post on StumbleUpon via creating an own profile on it. Most of you guys used Instagram it's one of the popular social media platforms. You can publish your images on Instagram to promote your blog. I know what are you thinking that Instagram doesn't allow to add links on the post but you can share images of your blog to make peoples know about your blog. The best way to promote a blog on Instagram though videos, images and infographics. I have listed some best places where you can promote your blog easily. Sharing post on this platform can help you in to get more traffic. I hope this post was helpful for you. If you have any question and suggestion then let me know in the comment.